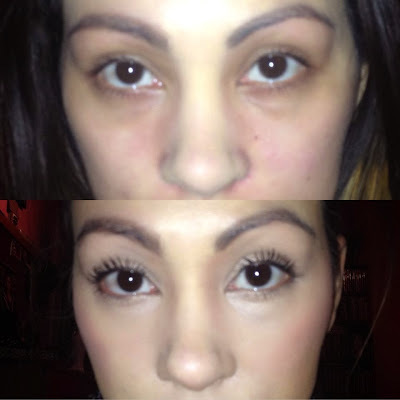 Do you need to get rid of horrible eye circles or redness around your eyes? Well this stuff is amazing! 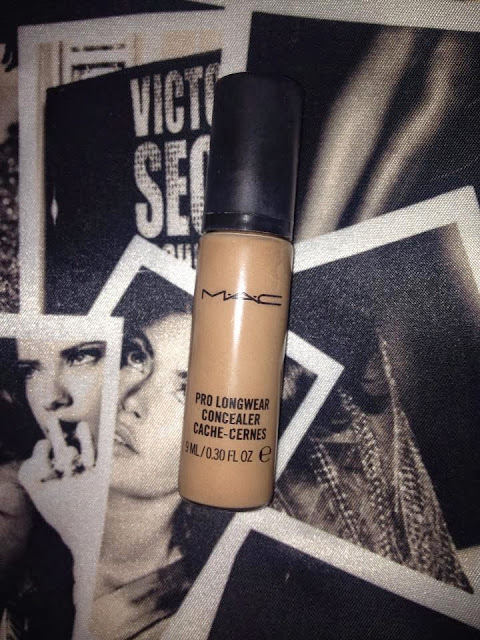 I've been using the MAC pro longwear concealer for a long time now and I definitely recommend it. I got mine in shade NW25. With concealers you should usually go 1-3 shades lighter so it brightens up the area and you dont look like your dying. As you can see in the before photo thats what it looks like. You can really see a difference it covers all the redness under my eyes and also around my nose. It makes you look flawless! This concealer is formulated not to crease and I find it doesnt compared to the other concealers I've tried. For application what I do is apply 1 pump and distribute it between my two under eyes and nose area. I make a triangle shape and then pat it in with my beauty blender. To set my concealer I then apply my banana power in those areas and pat it in. If your wanting to purchase this product you can buy it at any MAC locations or even order it online. Click Here Its $23 CAN and I think its definitely worth the price. If you don't know your shade they can help you pick out a shade there! Love this! My holy grail!!! Wow! That looks amazing!! Is that just the concealer and a bit of powder?